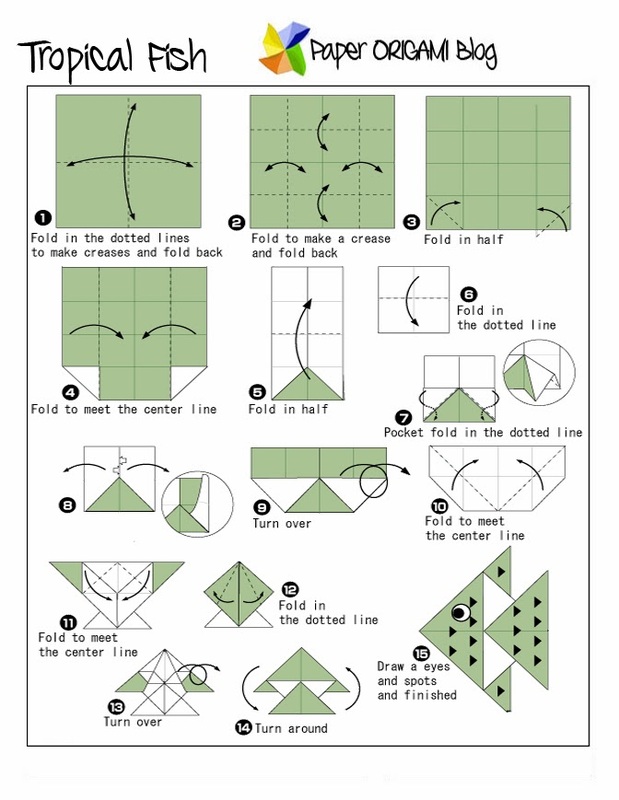 Tropical Fish Origami- Here is a another best diagram of making Tropical fish origami. If you are living in tropical countries this species of fish you might familiar with. 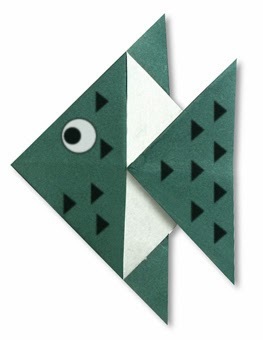 This fish is classified as triangular in shape and has this dotted triangular shape of scales. 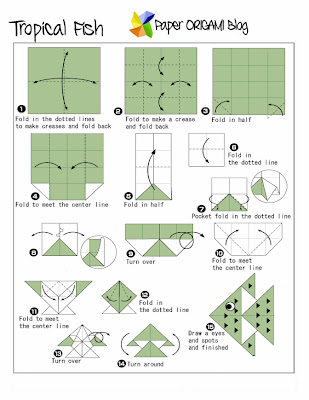 Here is the free diagram of this fish.